You should heard about this stock by now, Evergrn has been trending up over the past one year. We have posted it as Bullish stock on facebook. First time was in June, we saw the stock move higher with a continuation pattern. During the time, it was just $1.32. 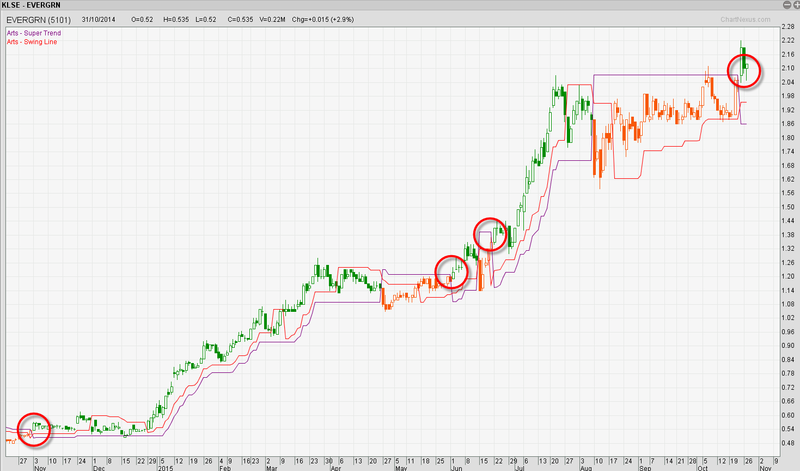 Lastly, lets look at Evergrn again, this stock has a breakout recently. 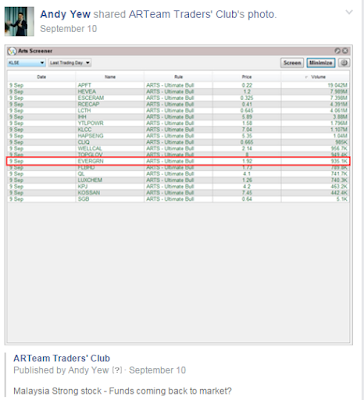 Looking good on ART supertrend system as the system showing a Green candle -bullish trend.